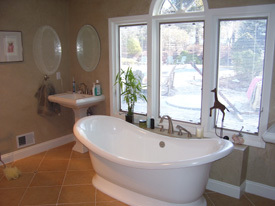 For over 32 years, Interior Excellence has been providing basement, kitchen, and bathroom remodeling services. If you are looking for a New Jersey contractor that stays on budget and finishes projects on time look no further. In addition we provide full service interior design services to New Jersey residents which means the final product is not only constructed well, but will fit the flow of your existing home. We’re a one-stop shop for all your construction and contracting needs. Interior Excellence has developed a rigorous and methodical approach to home construction which is applied to each and every project. 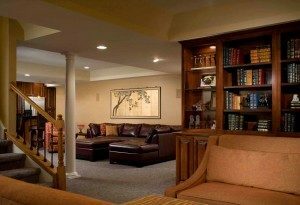 Whether your Warren home is in need of a new bathroom, or your Basking Ridge house needs a basement refinished, you can count on Interior Excellence to deliver a professional and well constructed project without the hassle of normal contractors. Our bathroom renovations can be completed (from start to finish) in less than ten days. We work with you to not only design the new room, but also pick out materials and pass on savings we receive from our contractor discounts directly to you. Our crew respects your home and not only covers all furniture during the project, but vacuums every day. We personally haul away all materials at the end of the project, and leave you with a new bathroom that is constructed professionally, and finished within a reasonable time-frame. 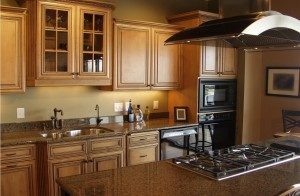 Remodeling your New Jersey kitchen provides an almost immediate increase to the resale value of your home. Interior Excellence has a multitude of contractor discounts at your disposal to help keep your project within budget while still using the highest quality granite and tile countertops. As we focus on one project at a time, your complete kitchen renovation can be complete within 30 days in order to minimize the impact to your family.